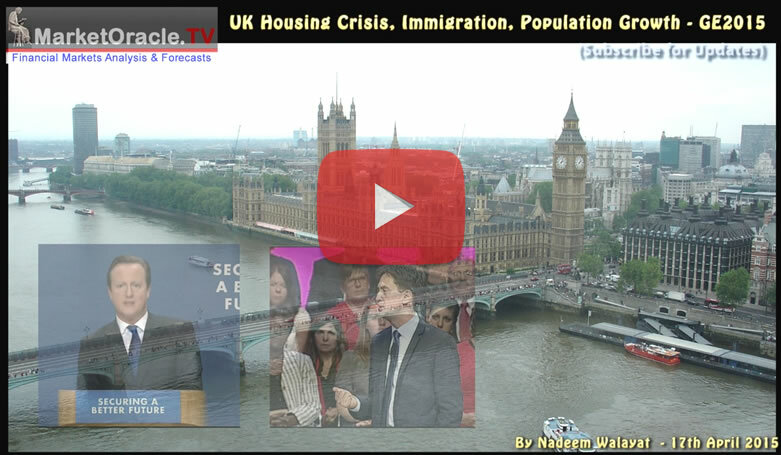 UK Immigration Crisis - Official Statistics Underreport Real EU Migration by 50%! The most ONS release further illustrates this huge continuing disparity as whilst the ONS states 257,000 EU migrants settled in the UK in the year to September 2015. However, during the same time period, 630,000 EU nationals applied for National Insurance numbers, necessary to claim in work and other benefits which is nearly 2.5X the headline ONS statistics! The bottom line is that ONS's migration statistics are not fit for purpose as I have been warning of for some years now. So instead of the most recent ONS statistics implying that net migration is running at 330,000 per annum, the truth is closer near twice that number! 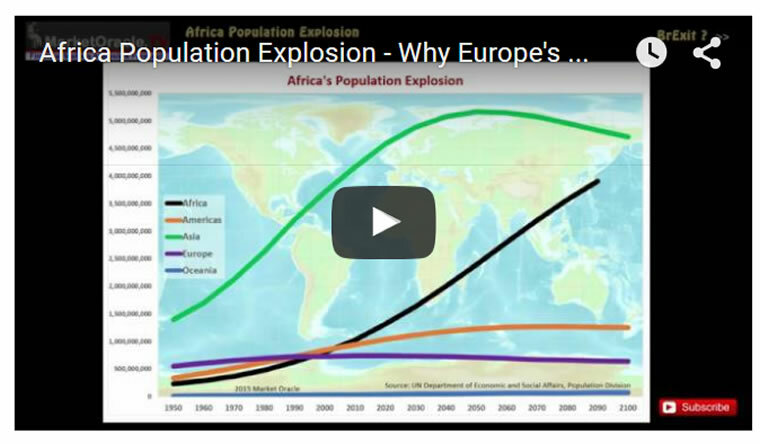 Where allowing lower outside of EU migration then real immigration is running at approx 500,000 per annum That means that the UK population is likely to hit 70 million before the end of this decade! With dire consequences for all aspects of life in Britain from employment, to schooling to social services such as health and not forgetting the housing crisis. Therefore, whilst today the mainstream broadcast press crisis coverage of immigration is focused on the camps of tens of thousands of migrants on Europe's southern borders and even some 5,000 near the port of Calais. However Britain should prepare itself for what the trend implies looks inevitable that within the next few years already buckling and highly stressed state services will break under the weight of numbers in response to which the government will be forced to introduce unprecedented measures such as cordoning off pockets of Southern England into self contained migrant camps of first in the tens of thousands and ultimately numbering in the hundreds of thousands in an attempt to contain the consequences of the immigration catastrophe that is the implied as a consequence of 10 million immigrants entering the UK (net 5 million) over the next 10 years that will be in addition to natural population growth of at approx 4 million. The updated UK population graph shows an actual trend trajectory as per the most recent ONS population data into Mid 2014 of 64.6 million, which suggests that the UK population could increase by an additional 4 million by 2030 as a consequence of what amounts to continuing out of control immigration and high birth rate that in total would translate into a population increase equivalent to 15 cities the size of Birmingham. The bottom line is that it is pointless for the likes of George Osborne announcement to build 400,000 affordable homes over the next 5 years, because it does not matter how many new homes built, 400k, 500k, even 1 million will make no difference to Britain's housing crisis for the simple fact that Britain has an immigration crisis as continuing out of control immigration ensures new demand will always far outstrip new supply. 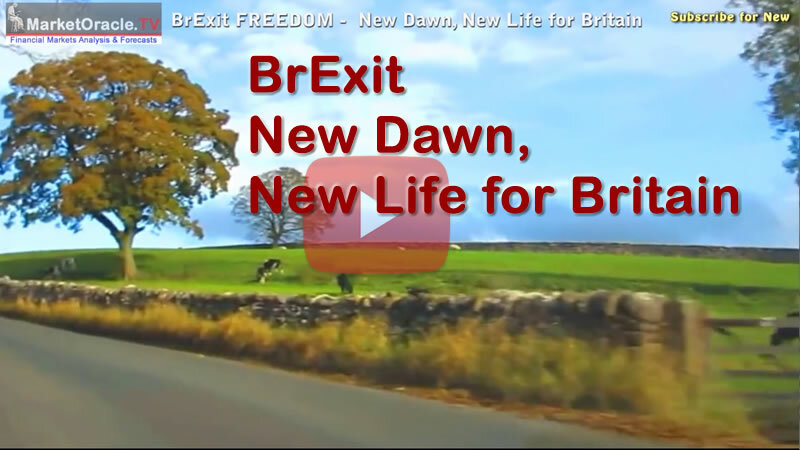 So the real solution for getting to grips with Britain's housing crisis IS TO CONTROL IMMIGRATION which is ONLY possible by EXITING the European Union for a New Dawn, New Life for Britain.